Finding a pet-friendly rental can be a huge challenge for renters, especially when you’re living in an already competitive market. A pet resume may prove to be the answer to landing that coveted pet-friendly rental. With many landlords and property managers making the decision to place restrictions on pets (or disallow pets altogether), your choices as a rental in a tight market become even more limited. In light of this, it’s normal for renters to wonder about the best way to stand out from the crowd and ensure that when you apply for your dream rental that the landlord chooses you–and your furry friend–over the other applicants. Enter the pet resume, the perfect way to convey to your prospective landlord or manager that your pet is an ideal four-legged tenant. Just as you would a rental resume for yourself, there are some basic facts that you should begin the process in order to easily provide the most vital information at-a-glance. Don’t forget to list your own contact information as well, just in case your pet resume is separated from any part of your rental application. The resume should clearly list your pet’s name, breed, age, weight or size, and spay or neuter status. This is also a great time to include a photo of your pet. Many landlords and managers have breed and/or size restrictions–even if they have pet-friendly housing available. Including this information at the beginning lets your potential landlord know that your pet will qualify and will save you from wasting any time with going through an extensive application process for housing that may ultimately not be appropriate for you and your particular pet. Keep in mind, if you have a dog that is a larger breed, your photo can play an important role in displaying a happy and playful side of the animal. This can help managers or landlords who may not have a breed restriction, but may still be concerned when it comes to breeds that are deemed aggressive. Include achievements, certificates and other verifiable facts about your pet; this is a time to show of your pet’s accolades. Think of it just like a job application resume, but for your furry counterpart. Fill this part of the pet resume can be as extensive as needed but don’t add anything untrue or unverifiable as your potential landlord may want proof. This is an excellent place to list any obedience school classes, special training, and vaccinations for which your pet has been administered. Don’t forget to include special activities, if warranted. If your dog participates in a local K9 reading program for children, or if your cat visits the local elementary school these can all speak to your pet’s nature. If you regularly utilize any medication to keep pests at bay (such as a flea and tick repellent), list that information, as well as the frequency that it is administered. Landlords can fear liability risk when it comes to pets. 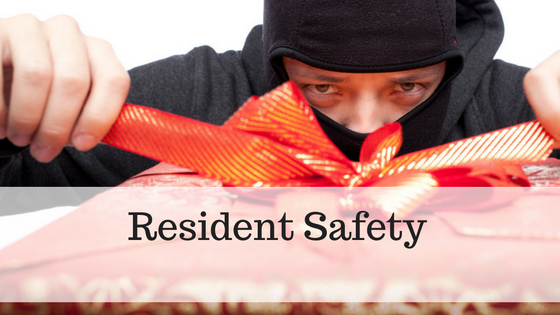 Fears of damage to the property or attacks and medical bills can be a deterrent for a landlord. You may know that your pet is calm, loving, and will not carry disease, but explicitly listing obedience training and vaccinations conveys that you are a responsible pet owner and reassures your potential landlord of your pets’ low-risk nature. To truly stand out from other applicants, reinforce the idea that you and your pet will be excellent tenants. A property manager’s job can be made stressful if they’re getting calls about a tenant’s dog constantly barking or a cat roaming in areas it shouldn’t. Provide peace of mind and quell these fears by including pet references with your pet resume. Include one from a former landlord and a former neighbor, if possible. These should convey that your pet did not cause damage to the property or disrupt other residents. You can also include a reference from a veterinarian, obedience trainer, or friend who has had close contact with your pet. This reference can speak about your pet’s overall demeanor. Now that you have covered all of the vital information, it is finally a time to highlight what makes your pet unique. Since this a pet introduction, there is no reason to keep the language strictly formal. Talk about your pet and their favorite activities, consider including a funny anecdote in which your pet’s personality shines. Overall, make it fun-but not unprofessional. Remember, a pet resume is also a reflection of you as a potential tenant; while you want to keep this introduction factual, fun and interesting, it’s still important to take the process seriously. Standing out as a rental applicant can be a chore–especially when you not only need to convince a potential landlord of your dream tenant status, but also that of your pet’s. Thankfully, with the right resumes in hand, there is no doubt that you can put your best foot forward and start an amazing landlord-tenant relationship within your new pet-friendly abode. My Tenant Has an Unauthorized Pet- Now What? Brentnie is a contributor for Rentec Direct. She occasionally stops by to deliver practical industry tips, providing guidance for tenants and landlords alike. 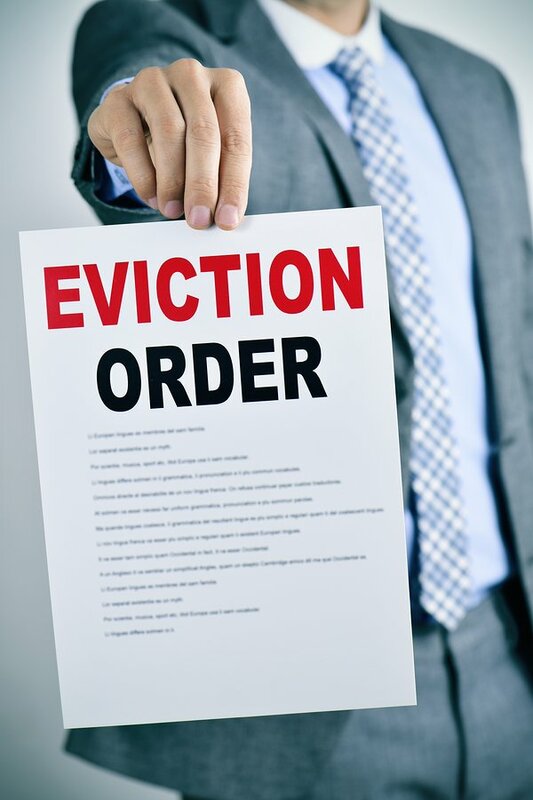 What Is a Legal Eviction Process? 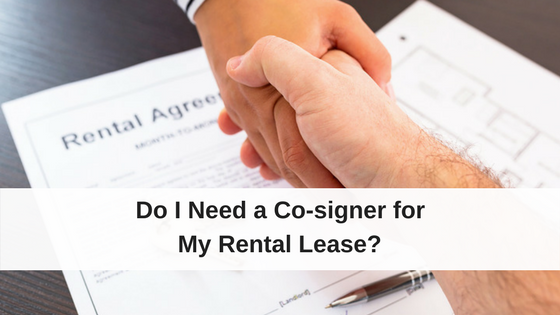 Do I Need a Co-Signer for My Rental Lease? Ive interviewed dogs. I want to see their nature. Great idea, Bonnie! Meeting an applicant’s pet in-person can be the best way to truly ensure that a pet is friendly around new people, and assess their overall demeanor. This is such great info! I was so scared for my puppy to not get accepted by my property management. Glad you found it valuable, Tiffany! 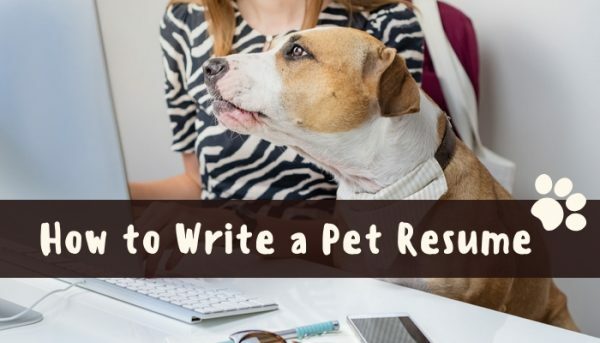 It’s always a little nerve-racking to present your pet for approval, but a pet resume can truly help you highlight your furry friend’s best qualities so management loves them as much as you do. What do you think about writing an article on “How to make you pet stay calm after moving to a new house”? I think that it will be really useful for many people. Glad you found it helpful! Pets are such an important part of many renters’ lives; it makes sense to ensure that landlords and renters have the best information possible when it comes to renting with pets. Thank you for your suggestion; we’ll definitely keep it in mind for the future!